Westgate Law > Blog > Bankruptcy Issues > Can Bankruptcy Stop Your Eviction? Tenants facing eviction often frantically search for answers to the situation. First and foremost for those in this situation is usually the desire to stay in their home. The need to relieve the pressure of the debt usually comes in a close second and third is a desire to do right by a landlord that often did nothing to deserve a tenant who is unable to pay for their use of the property. One solution many tenants consider is bankruptcy, but most aren’t actually sure how it could affect them and the eviction process they are attempting to delay or avoid. Can Filing for Bankruptcy Stop a Landlord From Evicting Past Due Tenants? Filing for bankruptcy can stop the eviction process in most situations and provide tenants with some time due to the automatic stay that is issued as soon as bankruptcy is filed. 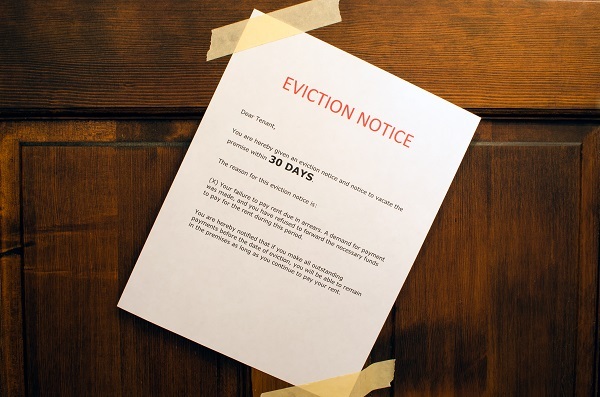 The automatic stay stops most judicial proceedings in their tracks – including an eviction. How much time the bankruptcy filing will offer tenants looking for a delay in the eviction process varies. It depends on local policies and procedures in the area where your bankruptcy case is filed. The time generated by the bankruptcy filing could be anywhere from a few weeks to several months and depends on how quickly your landlord files a motion in bankruptcy court to allow him permission to proceed with the eviction process. Before your landlord could proceed with the eviction, he would need to apply to have the automatic stay lifted by the court. How long it will take for the court to hear the petition varies. Another variable is the eviction process itself and how far along it has gone prior to the bankruptcy filing. The automatic stay does not protect a tenant filing bankruptcy from eviction if the landlord obtained a judgment for possession prior to the tenant’s bankruptcy filing. Make sure to be aware of where you are in the eviction process so you can accurately determine how bankruptcy could help you. After the 3-day period passes, the landlord can seek eviction by filing an unlawful detainer action. The tenant is given 5 days to respond to the unlawful detainer complaint. Failure to respond to the unlawful detainer leads to the landlord obtaining a default judgment. If you file for bankruptcy after the landlord receives the default judgment noted above, bankruptcy may not be able to provide the protection you are looking for with the eviction process. If you need assistance determining how bankruptcy could help you with the eviction process, please get in touch as soon as possible as it is a very timely matter. Contact one of the experienced southern California bankruptcy attorneys at Westgate Law.